No sport seems to have as many athletes in trouble with the law as the National Football League does, so here is an “All-Star” team of sorts, compiled of 11 former and current NFL players that either have been, or are currently incarcerated. Stats: Conspiracy; Dog Fighting; Animal Cruelty. Sentenced to 23 months. Although overrated in the NFL, Vick would shine under the hot sun in the yard as the team’s starting QB. His elusiveness on the field should help prevent him from getting shived, I mean sacked, and his strong left arm could definitely get the ball downfield. Now, hitting the target is another issue altogether. By now we all know the cowardness that is Michael Vick who came into the league with an oversized ego. After some minor brushes with the law (suspicious water bottle at an airport) and the league (double one-fingered salute to his own fans), it all came to a head when a search warrant for a drug investigation involving his cousin revealed evidence of illegal dog fighting on his property. As more and more details surfaced, it became evident that Vick had his hands deep in some despicable actions. One stipulation I’d like to see included in his contract: getting electrocuted each time he throws an interception. Stats: Criminal Conspiracy; Kidnapping; Assault; Robbery; Use of a Deadly Weapon; and to those of us with a brain…Murder (though found not-guilty). Sentenced to 33 years with a possible parole after 9 years. The former Heisman Trophy winner is a perfect addition to the backfield. The first running back ever to eclipse the 2,000 yard mark in a single season, the Juice will put pressure on the defense while hitting the holes with ease like a white Ford Bronco on a freeway. After buying a “not guilty” charge for the murder of his wife and friend, O.J.’s been in and out of trouble, finally hitting the wall in Las Vegas, where he led a group of men into a hotel room and robbed sports memorabilia allegedly belonging to him at gun point. The plus of having O.J. as the starting running back: he can run. Negative: he’s bound to get caught. Stats: Assault with a Deadly Weapon; Assault with Great Bodily Injury (separate incident); Making a Criminal Threat; Auto Theft. Sentenced to 31 years. One of the biggest draft busts in the past 15 years, Phillips never came close to his college success during his brief pro career, but his off-the-field stats cement his place as the second running back on our team. A drawback is his rather weak “opponent” history. Case in point, he A.) drove a car into 3 teenagers following a dispute with them over a pick-up football game…when he was 30 years old! and B.) assaulted his girlfriend on two accounts, once choking her to the point of unconsciousness. The sad thing is Phillips isn’t even the biggest coward on the team. Stats: Conspiracy to Commit Murder; Shooting into an Occupied Vehicle; Using an Instrument to Destroy an Unborn Child. Sentenced to 18-24 years. 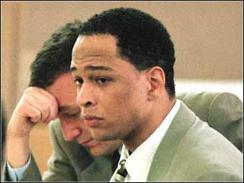 The biggest coward on the team, Carruth conspired to have his pregnant girlfriend murdered. Why, you ask? So, he wouldn’t have to pay child support. The pathetic thing is he hired someone else to do the dirty deed done dirt cheap. Not even a great wide receiver, his lack of sack would definitely have his knees shaking at the thought of crossing the middle, but his brief pro experience, and the fact he’d be under contract for the next couple decades, earns Carruth a roster spot. Stats: Criminal Possession of a Weapon; Reckless Endangerment. Sentenced to 2 years. Although Plaxico is in jail for being more stupid than anything, he still deserves a spot on the team, seeing as he’s arguably the best receiver available, as well as one of the few Super Bowl champions on the team. One potential problem with Plaxico, though, is if ‘ish goes down on the yard, I’d worry about him shiving himself. Stats: DUI Manslaughter. Sentenced to 30 days. Seeing as he was only eligible for 24 days out of his 30 day sentence, Donte’s a hot commodity. The real reason Stallworth made the team and is considered the preseason MVP is because, seriously, who gets to kill someone while driving drunk and only have to spend 24 days behind bars? Donte Stallworth…that’s who! Plaxico, are you taking notes? Stats: Drug Trafficking; Conspiracy to Distribute; Possession with Intent to Distribute. Sentenced to 7 ½ years from 2 separate convictions. Someone’s gonna need to block the dogs from sacking Michael Vick. Enter Nate Newton, All-Pro, three time Super Bowl champion guard who got caught with close to 400 pounds of marijuana on two separate occasions. He only served 2 ½ years of his sentence and now speaks to children about his past. However, he makes the team for his great run blocking and because of the high number of snacks he keeps in his locker. Stats: Multiple Homicide; Check Kiting. Sentenced to 22 years for the homicide and 25 years to life for the check kiting (go figure). Talk about a bad bad man. Robert Rozier, aka “Neariah Israel”, is by far the toughest man on our team. After leaving the NFL, Rozier joined “The Brotherhood”, a Black Supremacist cult founded by Yahweh ben Yahweh, in which he was required to murder a “white devil” and bring back a body part to join. Eventually, Rozier admitted to killing seven white people, but then testified against “The Brotherhood”, allowing his release from prison after only 10 years. Three years later, he was arrested for writing a bad check, and due to the third strike law…and 29 bounced checks, was sentenced to 25 years to life. It’s crazy how our justice system works. “I know, right!” screams Plaxico. Stats: Drug Possession; Evidence Tampering. Sentenced to 6 years total over two offenses. After being banned by the NFL for failing four different drug tests, Dexter found his way into the prison system after a string of drug arrests. A self-admitted drug addict, as well as being functionally illiterate, Manly makes the team because of his dominant pass rush, which earned him the nickname, “Secretary of Defense”, which was also the type of attorney he would later need. Zing! Stats: Drug Possession; Sexual Assault; Bribery. Sentenced to 4 ½ years. Inspiring the great Lawrence Taylor to wear jersey number 56, “Hollywood” Henderson was an uber-athletic linebacker in the late ’70s, whose career was cut short due to a flamboyant and destructive lifestyle. 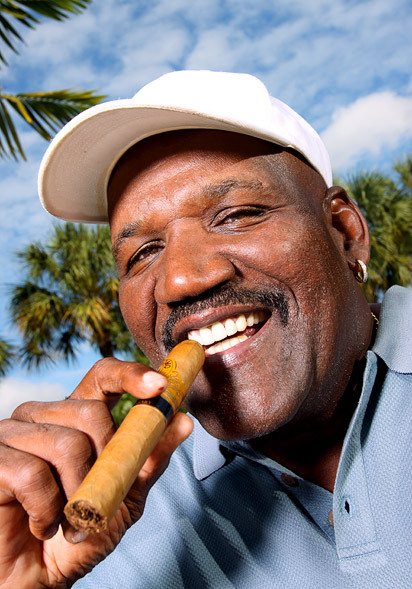 Known to use cocaine on the sidelines as a member of the Cowboys, Hollywood’s out-of-control lifestyle caught up with him in 1983 when he was arrested for smoking crack with two teenage girls, threatening them with a gun, and sexually assaulting them. Apparently, every story has a silver lining because in 2000, Henderson won a $28 million jackpot from the Texas lottery. Stats: Drug Trafficking; Attempted Conspiracy to Commit Murder. Sentenced to 41 years. 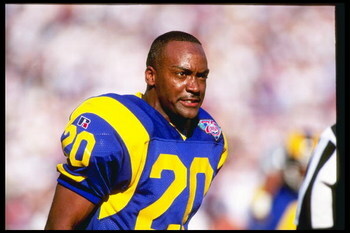 Arguably the best cornerback available, Henley played 5 years for the then Los Angeles Rams when he met one of the team’s cheerleaders who eventually got caught at an airport with twelve kilos of cocaine in her luggage, which allegedly belonged to Henley. She testified against him and three others, sending them all to prison. Fourteen months after his conviction, Henley was caught on tape using a cell phone — from his prison cell — to contract the murders of his “girlfriend” cheerleader and the federal judge of his trial. More bars in more places, right, AT&T?